Celebrate the first-EVER Wellness Expo in the heart of Edmonton’s River Valley at your downtown event destination! Health & Wellness Expos of Canada is one of the most diverse and interesting groups of companies, organizations and individuals to motivate people to be PROACTIVE in their health for the past 25 years. Learn about many of the new, and even some traditional, products and services available to help enhance or improve your quality of life. 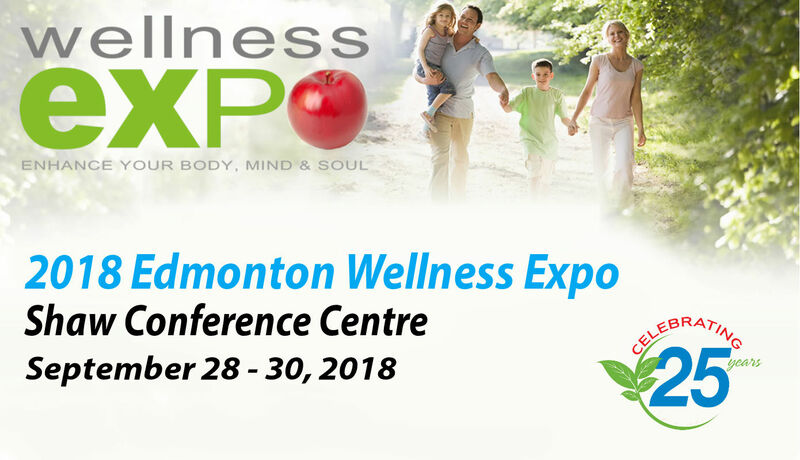 The Wellness Expo promises to bring you the ultimate Body, Mind and Soul Experience, filled with interactive displays, demonstrations, tons of samples and seminars … all included in the one ticket! Friday, September 28: 5 p.m. – 9 p.m.
Sunday, September 30: Noon – 5 p.m.
General Admission tickets available for sale at the door. Special VIP Passes available at all participating exhibitors and sponsors.